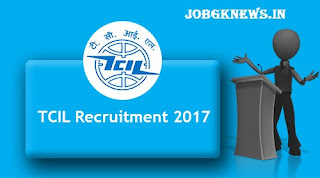 Telecommunications Consultants India Limited (TCIL) has released a notification for the recruitment of 100 Engineers and Junior Engineers. Interested candidates may check the eligibility criteria and apply from 22-09-2017 to 12-10-2017. For Engineer: Candidates should have passed B.E./B.Tech. in Electronics/Electronics & Communications/Computer Science/IT Engineering from a recognised university. For Junior Engineer: Candidates should have passed MCA/Diploma in Electronics/Electronics & Communications/Computer Science/IT Engineering from a recognised university. How to Apply: Interested and eligible candidates may send their applications in the prescribed format to “The Executive Director (IT & HR), Telecommunications Consultants India Ltd, TCIL Bhawan, Greater Kailash-I, New Delhi-110048” from 22-09-2017 to 12-10-2017.